I know, I know. It sounds crazy. But it really did look like the whale was waving at us. My wife and I were looking out over the vast Pacific Ocean from one of our favourite vantage points – Green Cape, the easternmost point of Ben Boyd National Park and one of Australia’s best spots for land-based whale-watching. In front of us, a humpback whale was raising her giant pectoral fin up in the air and crashing it back down into the water. Again and again, up it would go, back down it would splash. She waved at us, we waved back to her. Curious, I did some research as to why whales slap their fins like that. Turns out, whale experts and scientists believe it’s one of the non-verbal ways that whales communicate with each other. It’s especially common during breeding season. It might even be whale flirting! The migration of whales along Australia’s east coast – north to warmer breeding grounds and then south back to feeding grounds in cooler waters – is one of the most moving and spectacular natural events in the world. 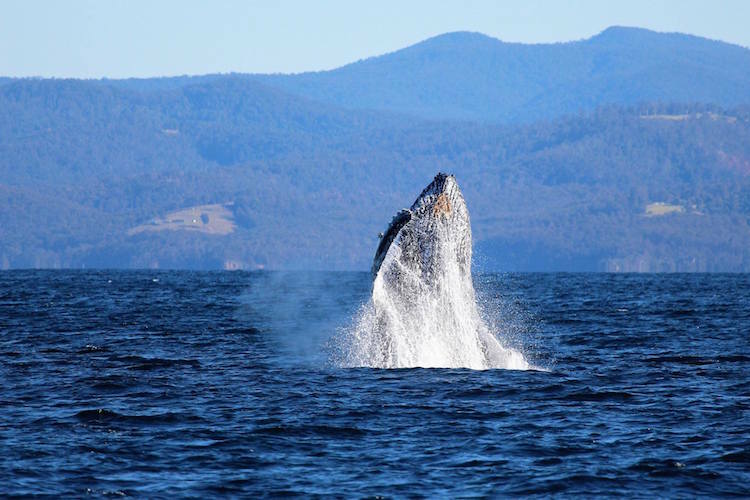 And on the NSW Far South Coast – fast gaining a reputation as The Wilderness Coast – October and November is prime time for whale watching, as humpbacks, right whales and other baleen whales pass close along the coastline with their newborn babies in tow. It’s also a wonderful time and place to see pods of Killer Whales, dolphins, and many other magnificent ocean mammals. 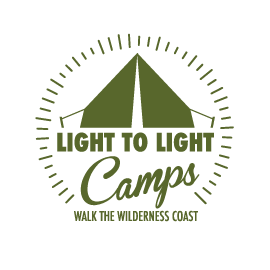 Light to Light Camps offers a number of hiking tours along the coastline of Ben Boyd National Park, that combine an exploration of this stunning coastal wilderness with a chance to witness up close the wonderful whale migration. Our schedule of tours for October, November and early December is fast filling up, but we’ve got a few dates open for 1 and 2 night hikes. Learn more about those Light to Light adventures here. If hiking isn’t your thing but you want to see some whales, we highly recommend the good folks at Cat Balou Cruises. The whales are waiting to wave at you! Don’t miss out on a chance to be a part of one of Australia’s best wilderness experiences!